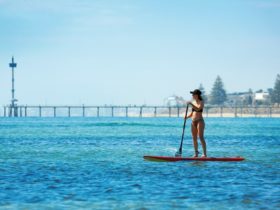 Holdfast Bay is just 20 minutes from Adelaide’s city centre and less than 10 minutes from the domestic and international airports. Its coast offers great opportunities all year for both business travellers and holiday seekers. Glenelg’s well-known ‘Old Gum Tree’ was the site chosen by Governor Hindmarsh to read the proclamation of South Australia on 28 December 1836. Each year this event is celebrated on Proclamation Day with a re-enactment of this reading on the same site. While visiting, see the HMS Buffalo – an authentic replica of the original ship that brought the state’s first Governor to Holdfast Bay – now a floating restaurant. 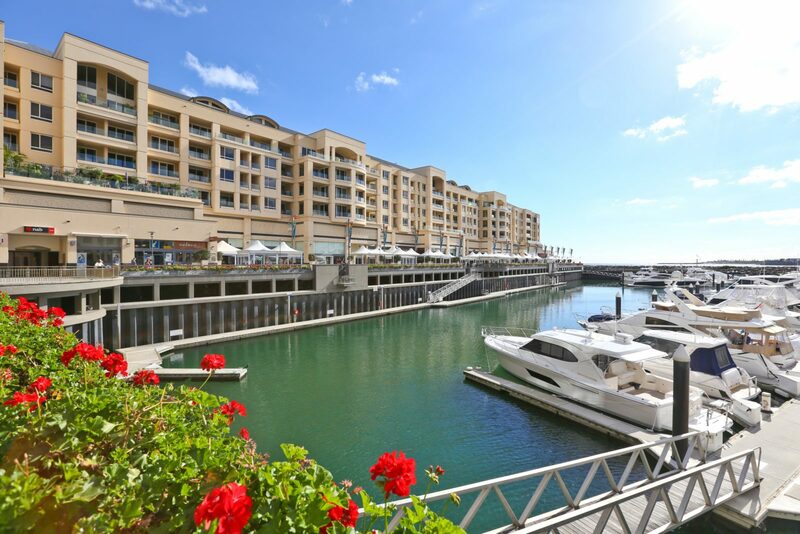 Experience Glenelg’s bustling Jetty Road, the marina and Holdfast Shores development, beautiful white beaches, heritage walks and buildings, as well as a wide variety of accommodation, attractions, activities, festivals, cuisine and shopping. The Holdfast Bay area is a local government area (LGA) in South Australia. This area is home to 12 locations and/or suburbs which you can explore in more detail by selecting from the list below. 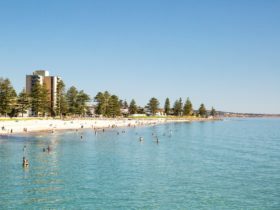 The Holdfast Bay area is located approximately kms from the capital Adelaide.